The advance of genetic sciences has led to a 'blue revolution' in the way we use aquatic biodiversity. By 2020, the world will be eating almost as much farmed as wild fish, marine bacteria could yield the cure for cancer and deep-sea bacteria may be exploited to gobble up oil spills. Science is moving ahead at a staggering speed, and the demand for genetic resources is growing rapidly - yet governance and policy lag far behind. This groundbreaking work is the first to look at the ownership, governance and trade in aquatic genetic resources. 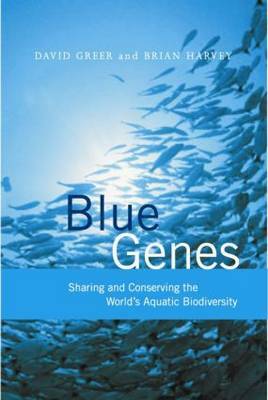 Blue Genes describes the growing demand for aquatic genetic resources and the desperate need to fill the policy vacuum about the management and conservation of aquatic biodiversity, which would help create a foundation for rules dictating access to, and use of, aquatic genetic resources. Special attention is paid to indigenous and local people having the right to access these resources and their role in managing and conserving aquatic biodiversity. The book concludes with policy recommendations specifically tailored to aquatic resources, with the use of six case studies from four continents to illustrate key issues.